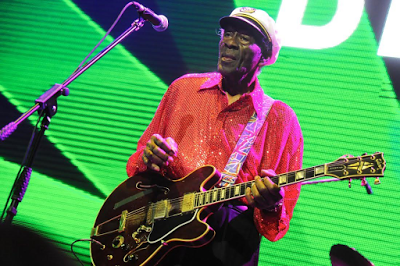 Rock 'n' roll founder, Chuck Berry who defined its joy and rebellion in "Johnny B. Goode" and other classics, has died in St. Charles County, Missouri at the age of 90. St. Charles county police say they responded to a medical emergency on Saturday afternoon and found Berry unresponsive. He could not be revived and was pronounced dead on the spot at 1:26pm on Saturday. Berry hit the Top 10 in 1955 with "Maybellene" and went on to influence generations of musicians. Berry, whose full name was Charles Edward Anderson Berry Sr. is known for songs like Roll Over Beethoven and Sweet Little Sixteen.